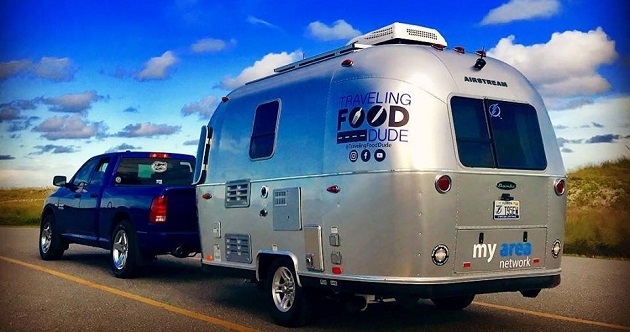 The Traveling Food Dude Hits the Road with MyArea Network | First Stop, Austin! The Traveling Food Dude, otherwise known as Adam Vosding, is exploring Austin along with his sidekick dog Holland, an appetite for local eateries and travel trailer in tow. Vosding is a renowned food blogger who has been to 26 countries and 43 states to get a taste of what food the country and the world has to offer. He's teamed up with MyArea Network to explore the county and all the best local restaurants he can find! 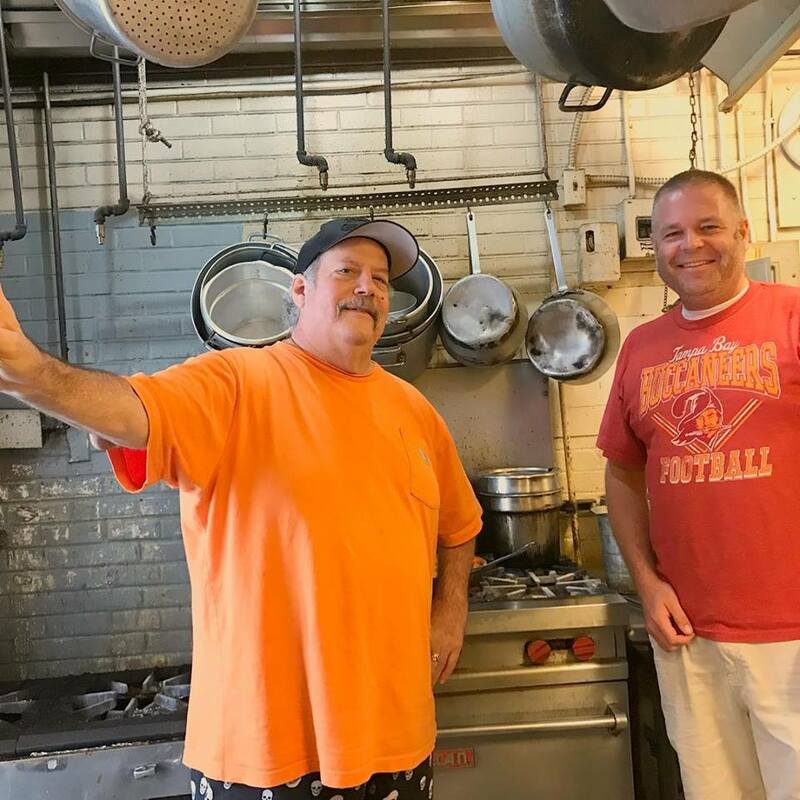 Since Vosding has been in town, he has visited Austin’s own P. Terry’s burgers which have since become a popular restaurant chain with new locations opening all over. P. Terry’s has gained the reputation as being a favorite among dog owners because they provide your furry friend with a free Milk-bone upon request. Aside from their famous burgers, P. Terrys is also known for having some of the best milkshakes in Austin. “I have found a weak spot for their root beer milkshakes and three times now I have gotten one of their root beer milkshakes,” says Vosding. What would a trip to Texas be without trying some amazing tacos? Vosding dived into Austin’s taco scene head first by stopping by the iconic Maria's Taco Xpress. Maria’s has been serving Austinites tacos for over 20 years and shows no signs of slowing down. One of the best things about Maria's is they serve breakfast all day. “I loved their pork el pastor taco...I went around 11 am and was able to enjoy both a breakfast taco and a lunch taco at the same time!” says Vosding. 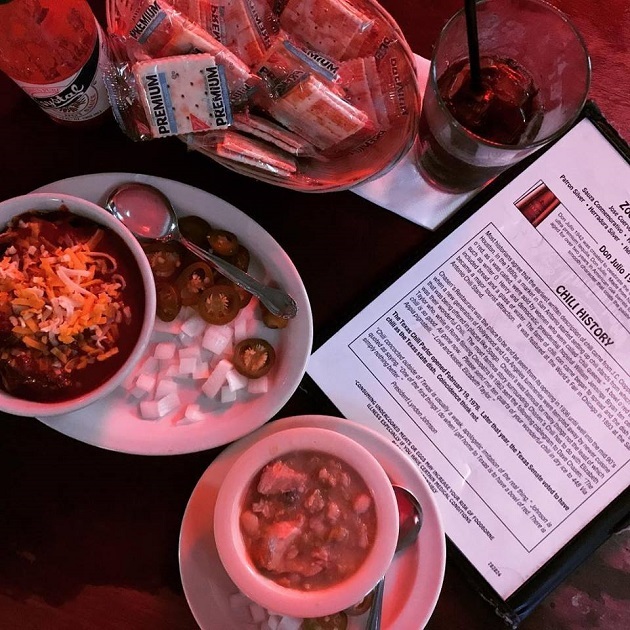 This restaurant is ideal for anyone who wants to take a bite of Austin history, listen to live music and enjoy a taco and a margarita all at the same time. Texas is known for its amazing barbeque maybe just as much as it is known for its tacos. Vosding made a pit stop by Black's BBQ, one of the surrounding Austin areas most famous restaurants. Blacks BBQ in Lockhart Texas has been open since 1932 and named a “top 50 in Texas BBQ joint” by Texas Monthly magazine, which is impressive considering the abundance of BBQ restaurants in Texas. Vosding was astounded by the number of barbeque restaurants in the area, "When I was driving down to Lockhart I was thinking that I was driving to the “Disney World” of Texas BBQ!" says Vosding. Carry on the Black’s family tradition and indulge in a plate of brisket and a side of peach cobbler. They also have a newer location in the heart of downtown Austin if a trip to Lockhart doesn’t sound all that appetizing. Follow the Traveling Food Dude as he ventures to eateries all around the county with MyArea Network. Stay connected with what’s happening in the Austin area by connecting with 512area. We have events and things to do in Austin, dining in Austin and so much more! Register at 512area today, best of all, it's free!